We are spending the week in the cool Smoky Mountains, savoring the beauties of nature in Waynesville, North Carolina. Nothing breaks the silence except birdsong. 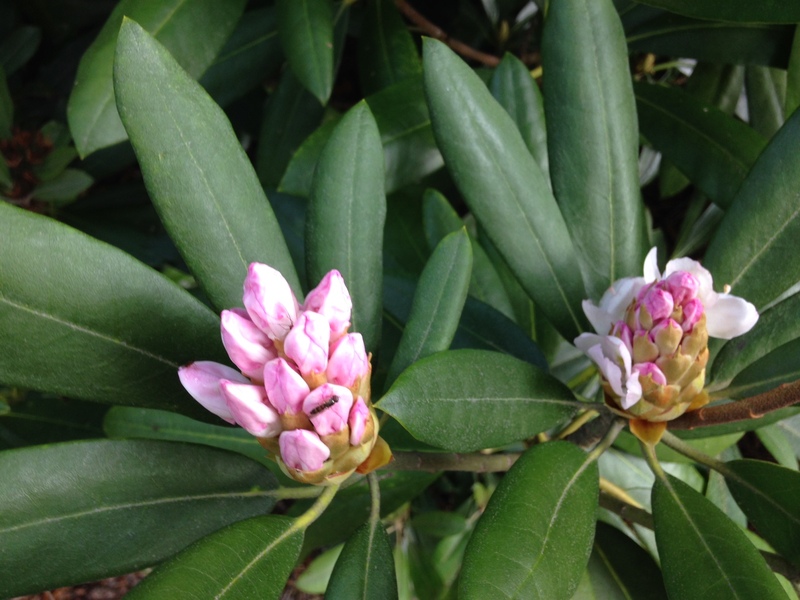 Rhododendron buds unfold into blossom, a walking stick is a great companion, just like Laurelville Camp in the Fifties. You’re invited on a nature walk today . 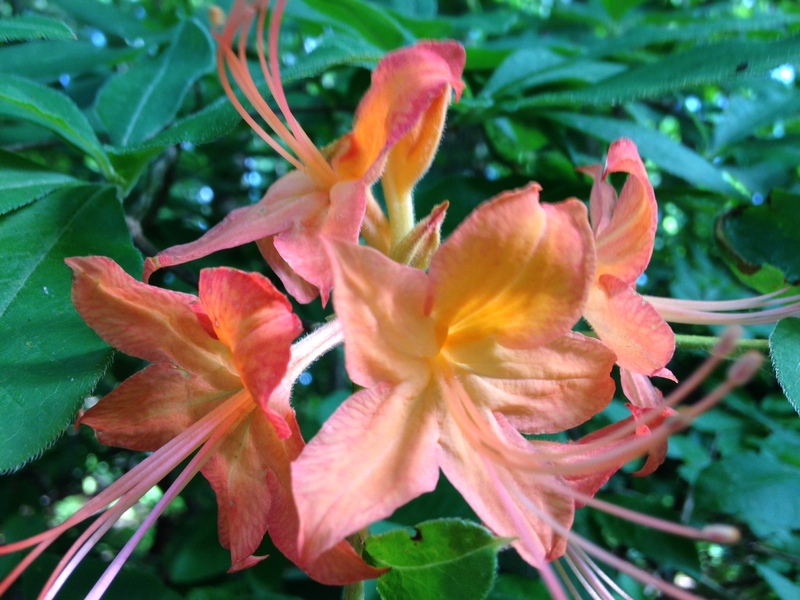 . .
Rhododendron blooms slowly releasing their full beauty. Pink buds become white flowers. Turtle trying to camouflage. It’s not working! Hummingbird says, “Fly letter fly – come back with quick reply,” an antiquated postscript in this era of email, texting, Facebook messaging. 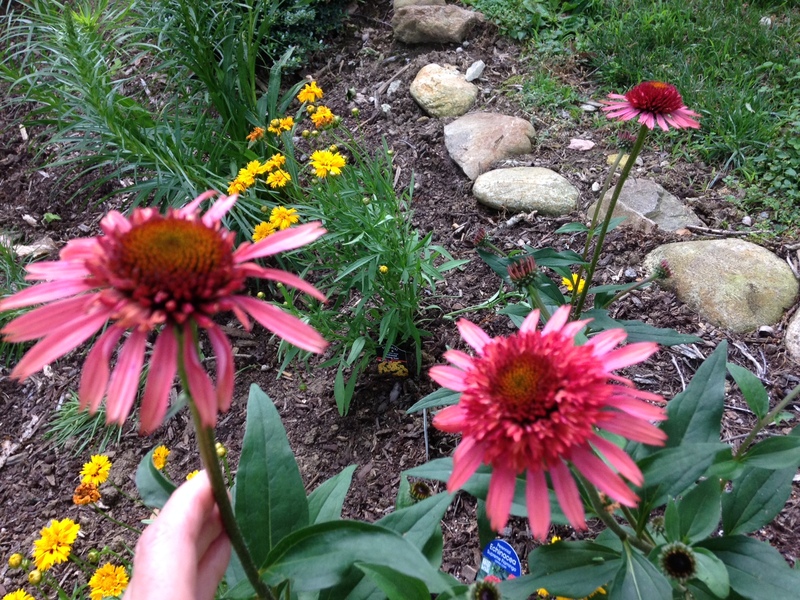 Echinacea, used by native Americans for centuries, has medicinal powers, say lovers of natural remedies. Its leaves, flowers, and roots can be used to boost the immune system. Some devotees take echinacea at the first sign of a cold. Others use it fight viral infections, chronic fatigue, or skin wounds. Take time to smell the roses . . .
Bring on the graham crackers, chocolate, and marshmallows. Toast some S’mores! Something’s missing here: Add your own quote, verse of scripture or story that came to mind as you read this post. Gather around the camp-fire! Coming next: I Spy an Elk! Next postI Spy an Elk! Good morning, Marian! It looks like you are having a lovely and relaxing vacation! The flowers are beautiful. 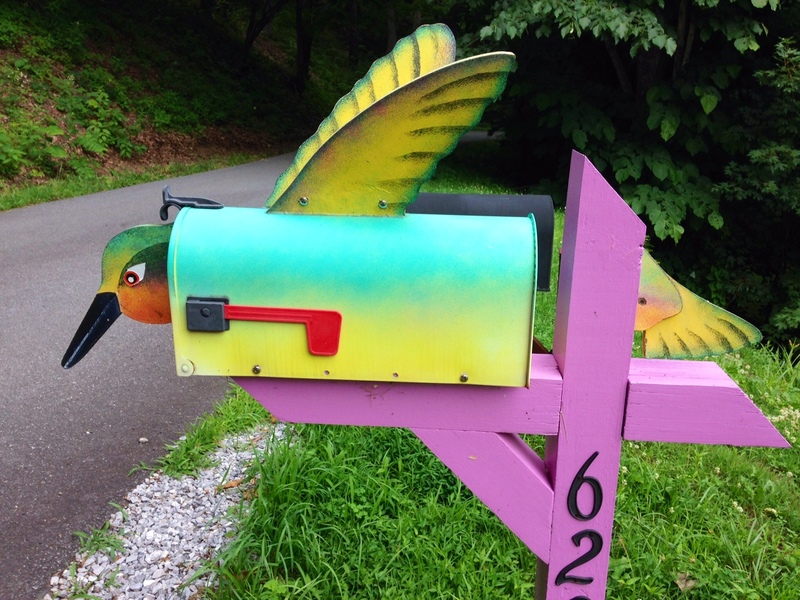 That hummingbird mailbox is so funny. I think it’s going to be an inside weekend for me–it’s rainy and I have a lot of work to do. We are winding up our week soon. The lure of natural beauty all around me won out over my intention to write, probably not such a bad thing after all; Jacksonville is hot and will keep me indoors next week. The weather has been beautiful during our stay and rained only last night after our “camp” fire. Thanks for the good wishes – and for always showing up here, usually in the # 1 spot. Happy writing! We are at a higher elevation for sure here in the Smokies. I would guess the bushes here will be all covered in pinkish white blooms in about two weeks or less. I’m glad you learned about Echinacea; I like to tuck something like this into every post. (The teacher in me persists, I guess.) The article also says this herb is used to treat ADHD. The white water rafting prayer you mentioned is choice. In our braver days we went on a level 3 or 4 ride. I might go again but would choose a tamer level. “Give me that old time religion . . . ” is the only phrase I can think of that relates to your thought. If you think of the feeling as a spiritual one, the idea can make sense here regardless of the wording. Yes, being in nature evokes a sense of wonder and timelessness, Susan. We all need to get untethered from the pull of the ordinary every so often. Thank you! Give me that Old Time Religion … thanks Marian, ‘feeling’ is pretty well similar I guess! What beautiful pictures of nature. I love flowers woods and water. How nice to get away and enjoy the beauty God has given us. Pablo won’t go hiking or camping. He’s always been afraid of it. So I haven’t camped for 28 yrs. Yet God is so good to me that he gave me all this beauty on my back yard flowers trees and water and a walking trail for me and the kids to enjoy. Campfires here in our huge grounds. Enjoy your time there. Thank you for sharing it with us. Always looking on the bright side, that’s you, Gloria. 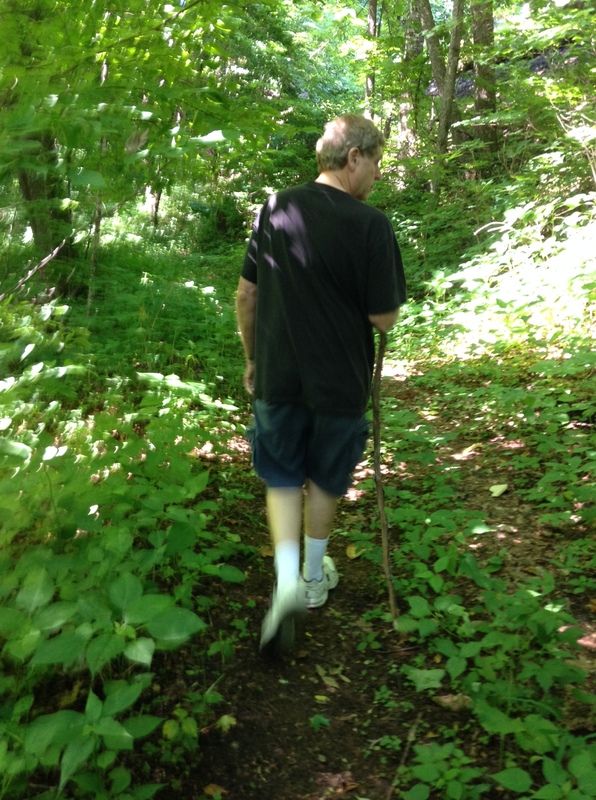 Many people have flowers and trees in their back yard, but no water or a walking trail. Maybe you can go camping with your grand-kids. They’re old enough to enjoy it and even help you set up the tent – ha! Thanks for sharing these beautiful pictures of nature. .Have a blessed vacation !! That’s the perfect hymn for this post, Bertha. I know we sang this song at Bossler Mennonite, but I think we also sang it at my country school before we began our lessons – and probably in the spring-time. This kind of vacation should be on everyone’s list. Getting away from the hurry, hurry of everyday life will help cure stress, insomnia, and a host of other things that plague us. I know you’re having a wonderful time. You travel fast, Judy. I just saw you and Dave in ROME. Maybe you have figured out how to transmogrify! Thanks for checking by on your way to wherever today – safe travels too. 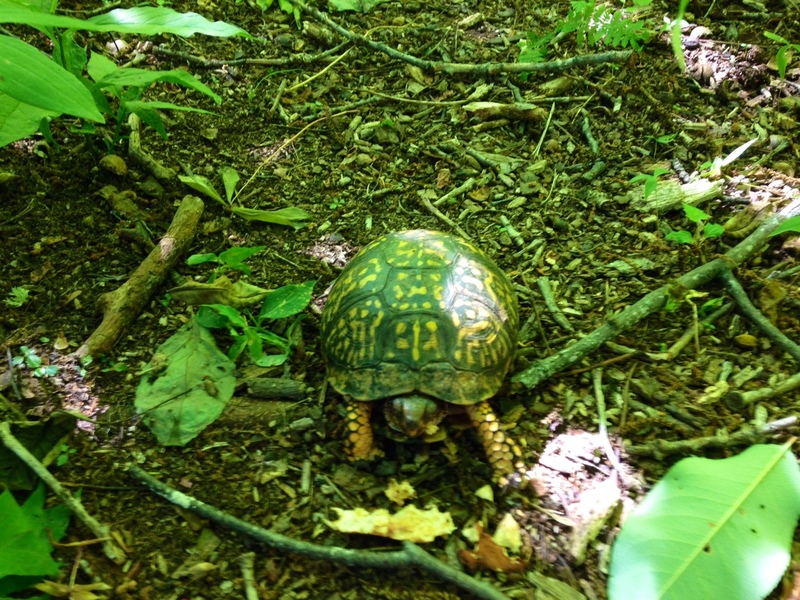 Birdsong in the mountains, hikes in the lush green, colorful flowers and a wonderful turtle–you captured it all, Marian. This is our favorite kind of getaway, too, and we wish you continued beauty and fun. And I agree with Judy; now I’m also in the mood for S’mores! Ohhhhhhhhhh, I loved taking that virtual nature walk with you. Stunning. Absolutely stunning! Thank you for sharing your adventure. There’s more to come next post. Animals within range in part 2 – hurry back! Great fun to get out into the woods. Last weekend we took a little hike in the woods near Reddish Knob with our daughter and son-in-law. 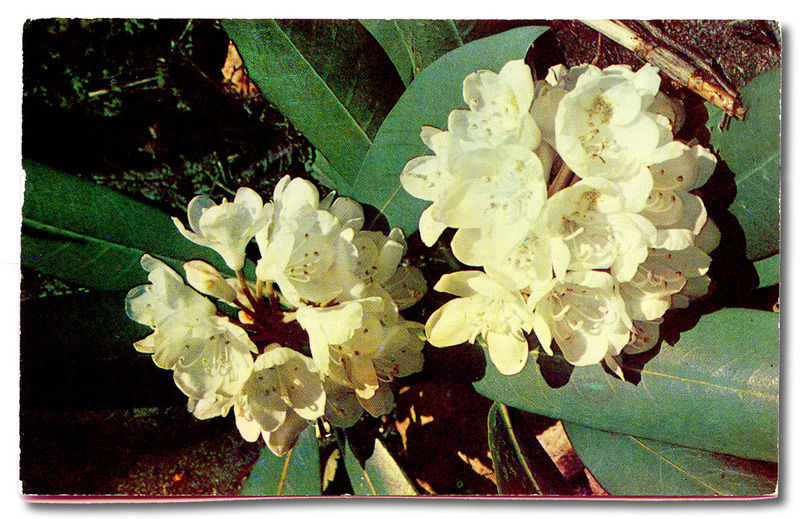 We saw Mountain Laurel blooming. You are as efficient at reading comments as you are disciplined with your diet, Shirley. That video was only 13 seconds long! I remember your mentioning Reddish Knob in a comment on Laurie B’s blog. When we get back into the Shenandoah Valley, I’d like to hike there. Woods and mountains restore my soul as nothing else can do. Oh, how I loved taking that virtual walk with you, Marian. As usual, you pull us right into your experience through your prose and photos and make us feel like we are right there with you. My first thought comes from Scripture: “Be still and know that I am Lord”. Even though you are walking, you are stopping to capture nature’s beauty right before you.I’m so happy you are enjoying yourself in the beautiful mountains! The “Be still” . . . verse is one of my favorites. A good reminder: our bodies can be still but that doesn’t mean the mind isn’t racing. Thank you for joining us around the campfire. Your kitchen table results in less smelly clothing I must say. (Still airing out my blouse.) Ha! I love that campfire scent and all it represents! And so camouflaged – so he thought. And we think WE blend in – haha! Mmmmmmm I have so enjoyed my nature walk just ready for a freshly baked scone and a cuppa , would you like to join me ? . Naa you re relaxing in the cool smoky mountains of North Carolina …sounds amazing . 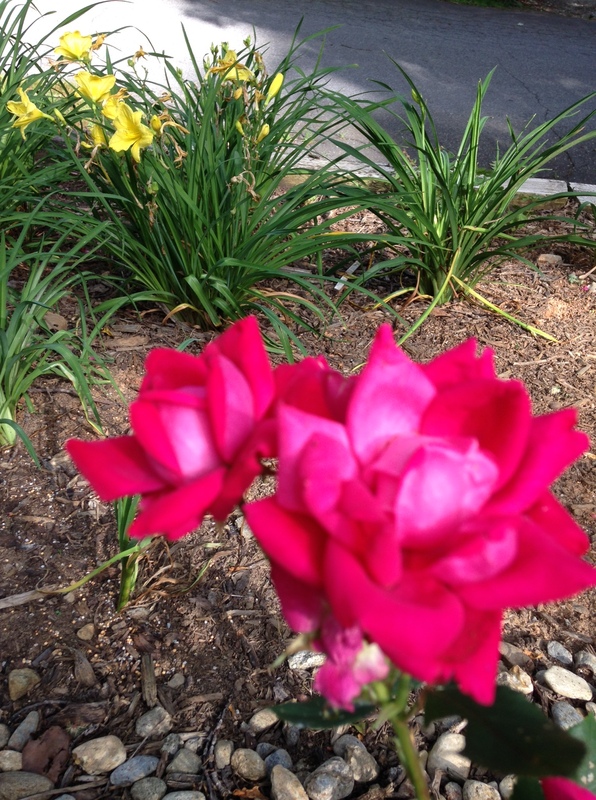 Those flowers are hypnotic … Do they have a perfume ? You should have smell -a- blog so we could sample the aroma . Have a lovely time . Gorgeous beautiful images. It’s been soggy here, but the sky is clearing, so out for a walk and maybe I’ll be inspired to pull a few weeds. Thanks for inviting me. It’s been soggy in Florida too now that we’re back after a week away. It’s not only weeds back home but yea-tall grass to mow. Thanks for reading, Lady Fi! 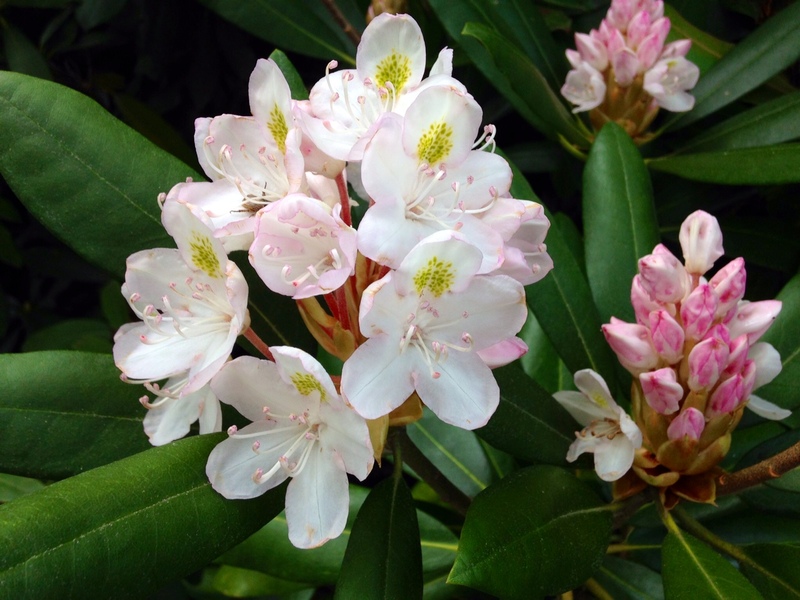 I love the rhododendrons. We have so many in our parks here but they’re more or less over now.